And just like that, three months go by. I have no excuses for the lack of writing, other than a disjointed winter & early spring - I've been in Driggs, Arizona and Utah, plus all over Idaho for work. The knee surgery threw me sideways more than expected ("it's just a scope, you'll be ok in a few weeks"...not), both physically & psychologically; it's clear that I need to develop more non-physical hobbies. That all being said...here's a re-cap. 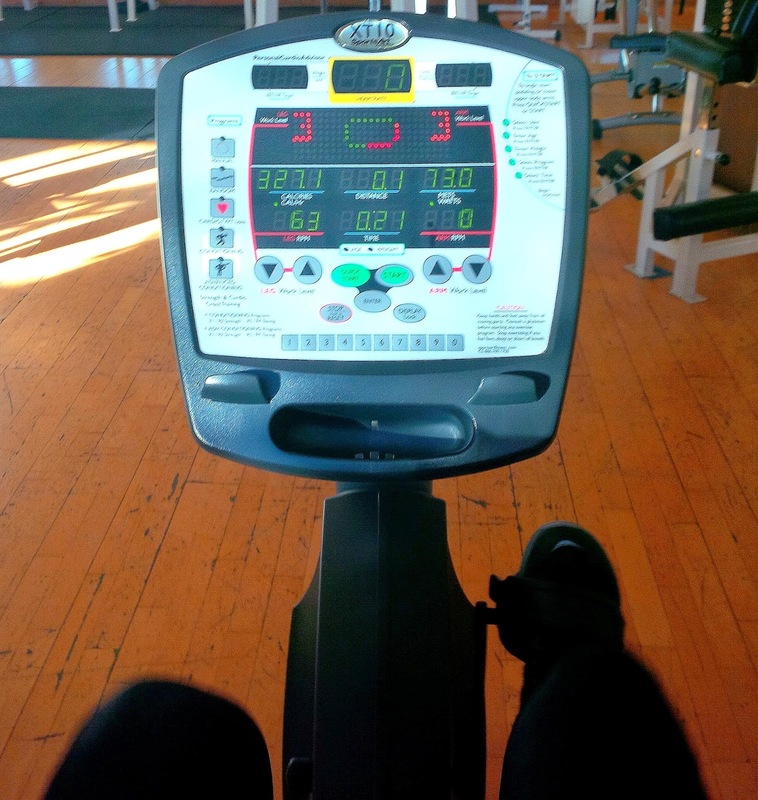 Within ten days of surgery, I was spinning on a recumbent bike - and should have continued at that level for several weeks, rather than jumping on a real bike and aggravating the knee and then dealing with an inordinate amount of inflammation & scar tissue for several months...lesson learned. I simply like being outside. January, February and March were very mild. 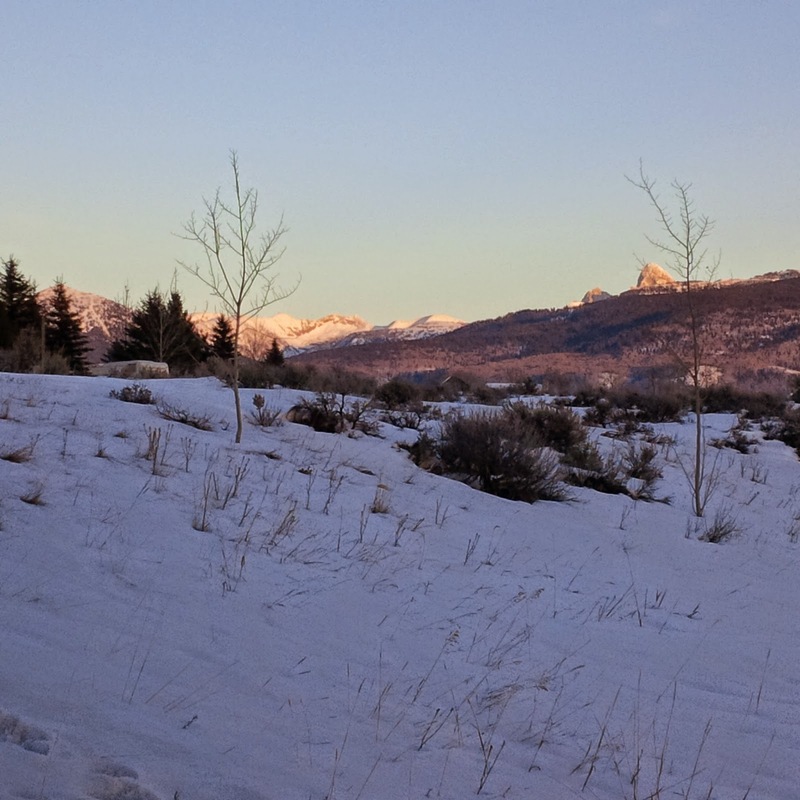 This photo is a mid-January sunset in Driggs, when snowpack should be 2-3 feet deep in the valley...but it was just a few inches because of rain and thaws. Thankfully, the higher elevations like Grand Targhee picked up close to normal snowfall as winter progressed. 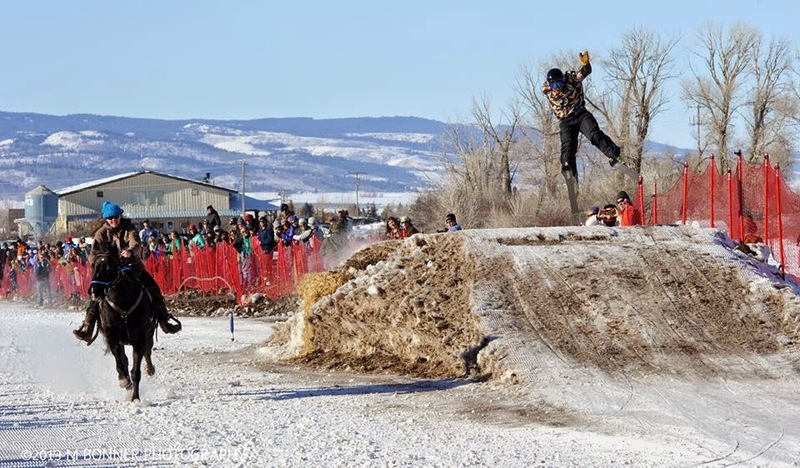 I was gone for most of it, but the 4th Annual Teton Valley Snowfest took place from January 23 to February 1. Warm temperatures made for challenging logistics - snow sculptures melted within a few days, hockey events were cancelled, and other modifications were necessary - but hats' off to the Teton Valley Foundation for still putting on a great local mid-winter event. As mentioned: I couldn't resist riding an actual bike - it's who I am - and it helped keep me sane in spite of the knee and other issues. 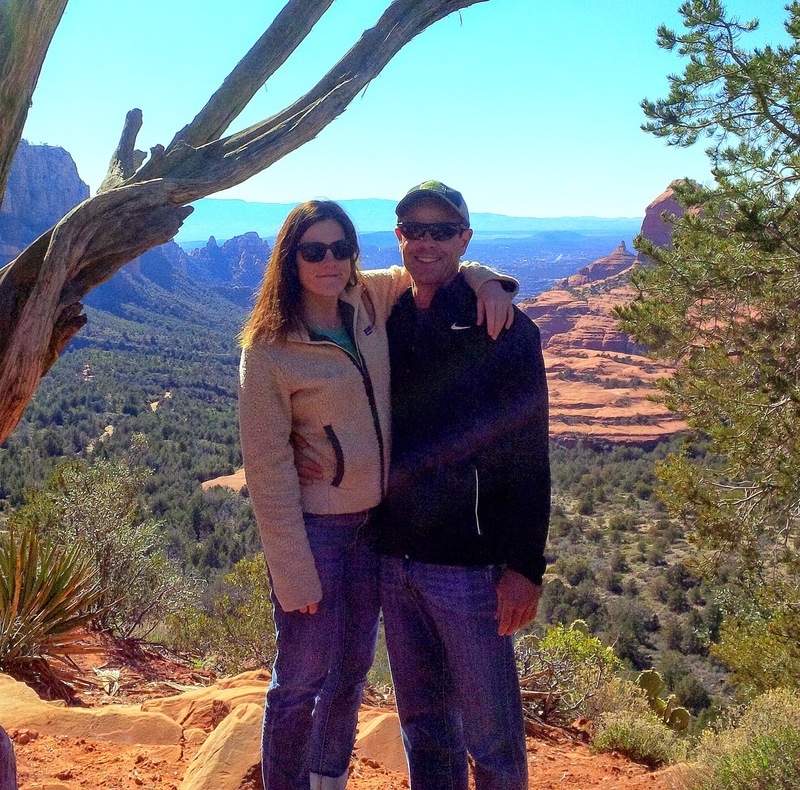 There's definitely something healing about Sedona. 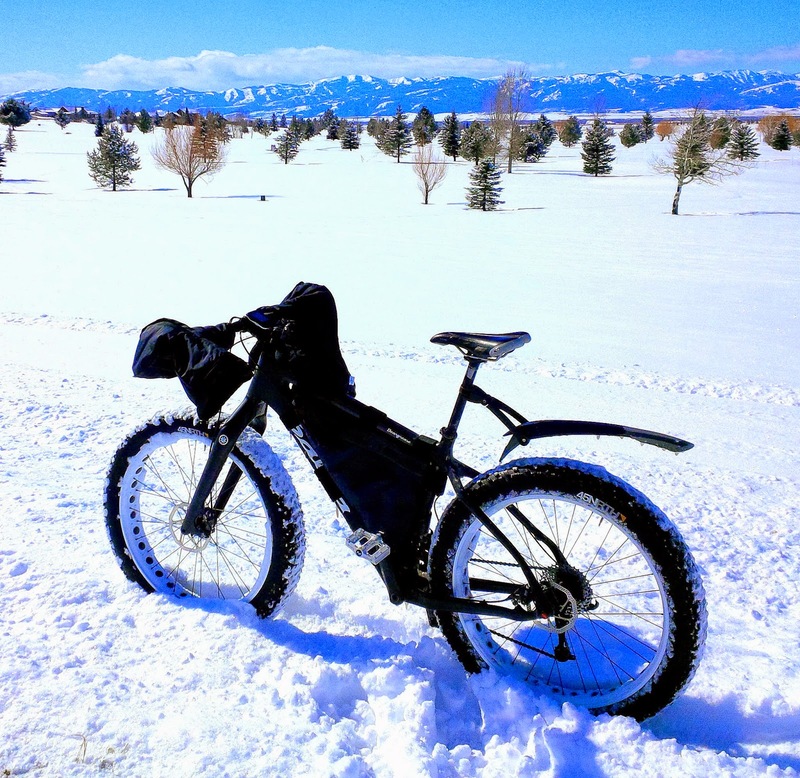 Meanwhile: back at the Driggs homestead, my snowbike awaited. This photo is overlooking Targhee Village golf course, which was open for play before the end of March. Unprecedented. 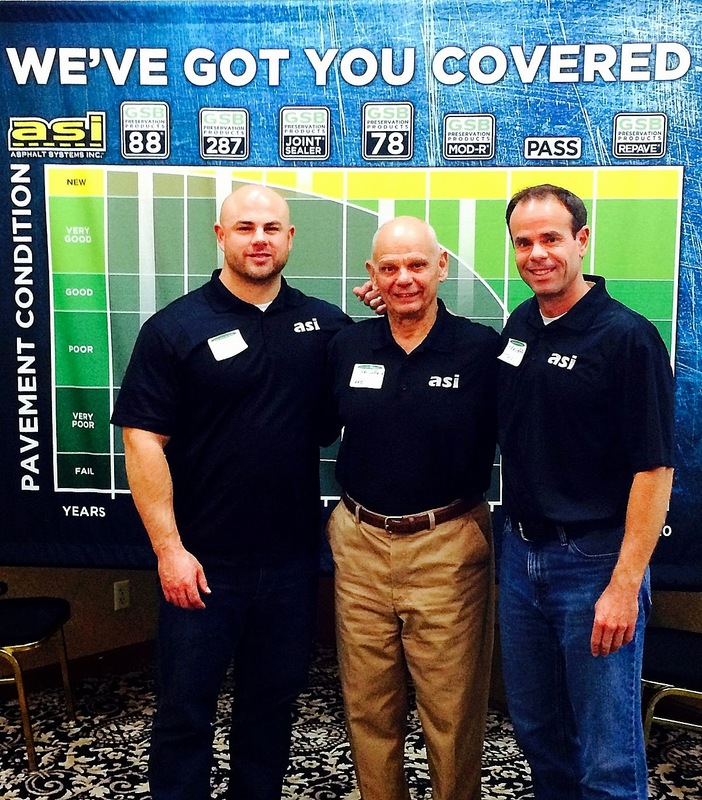 March brought a big work seminar in Pocatello with my dad and brother Mark. Several dozen customers attended, which was terrific - but the best part was spending time with these two guys. 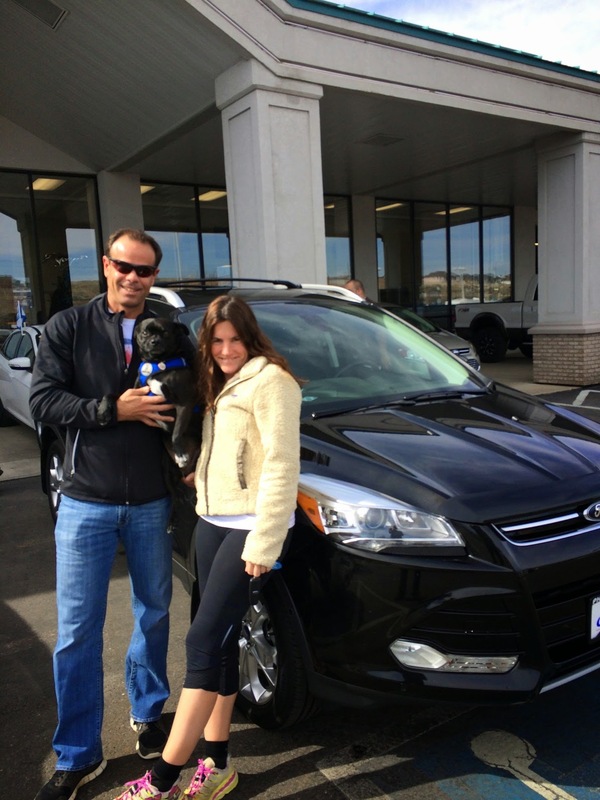 Melissa bought a sweet new car, and Romeo approves. 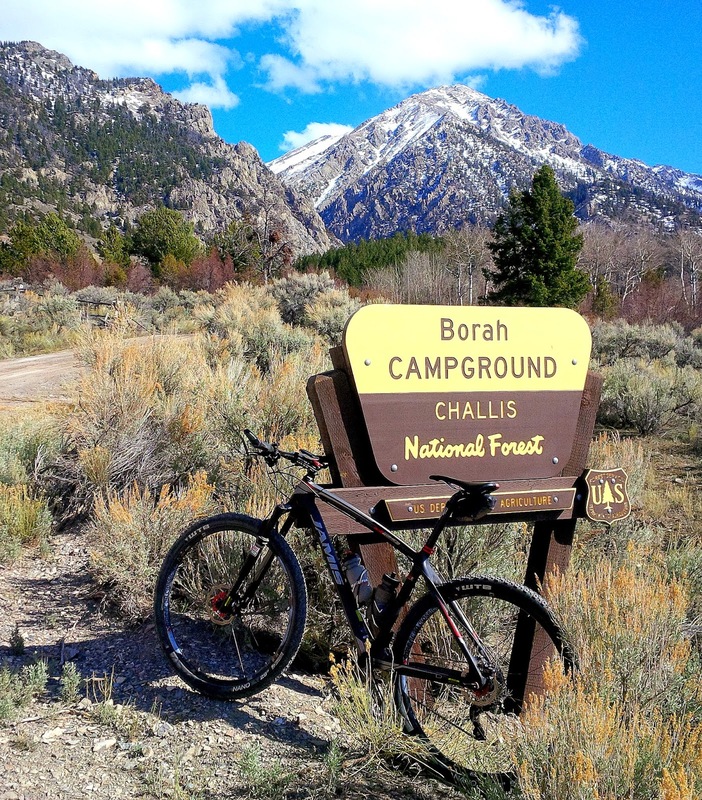 We'll be starting a new high school mountain biking team here in Driggs/Jackson this summer, and I'll be an assistant coach. 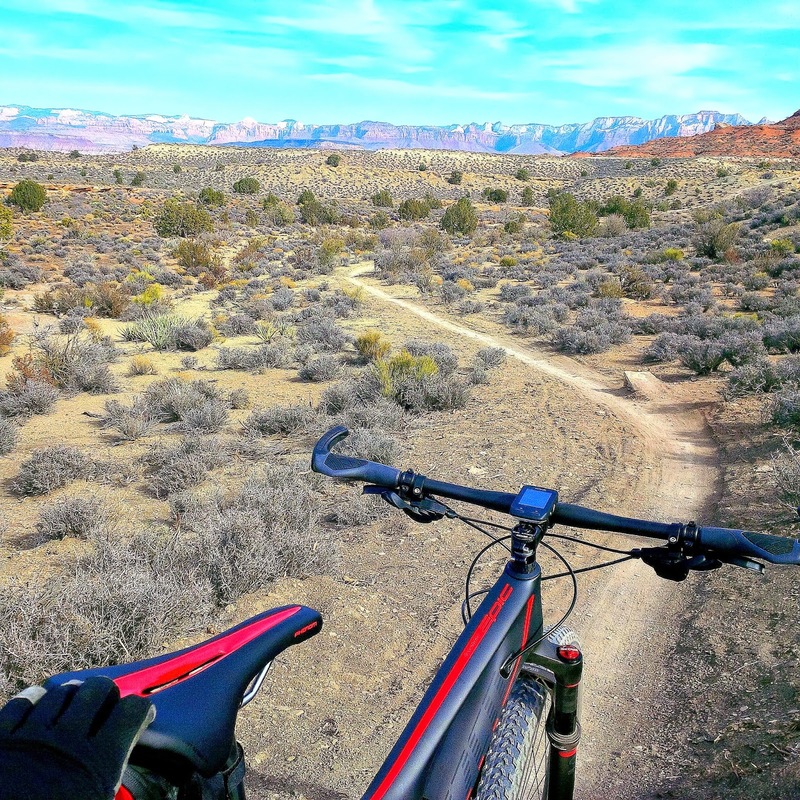 The sport has really taken off in neighboring states in recent years, and is a great thing for kids, communities, families, and of course cycling. 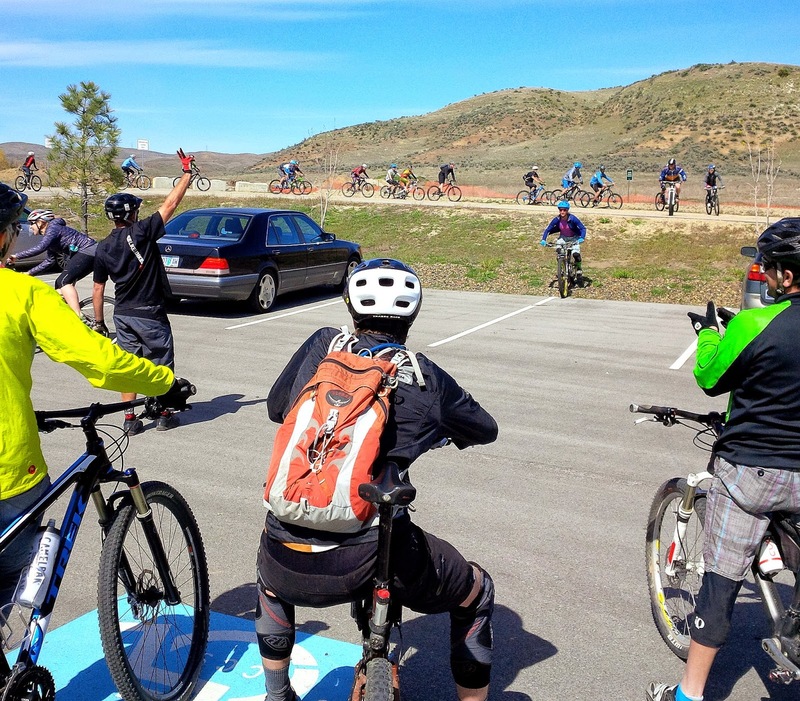 To help prepare, I attended a two-day NICA (national interscholastic cycling association) coaching clinic in Boise a couple of weeks ago, where we learned rules, protocol, and skills. I'm psyched & honored to be a part of this. 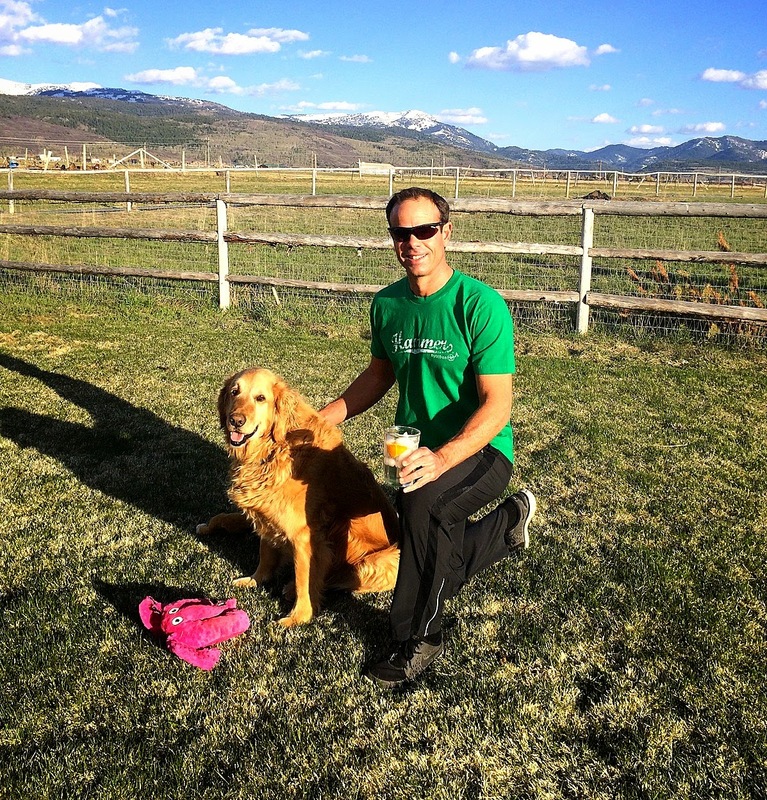 I tend to be a "Rainbows & Unicorns" guy, but I would be remiss here if I didn't mention the handful of tragedies we've dealt with in Teton Valley these past couple of months. Good, young people - influential citizens & friends to many - have lost their lives. Some things simply don't make any sense, except perhaps to remind us that every day is a gift. With that thought: spring is here, and I've been exploring new trails on work trips. The more I see of it, the better Idaho gets. Last but not least: I spent some good time with Bridger last week, and hope to make that a more regular thing moving forward. He's eight years old now, enjoys watching ESPN (or am I projecting that? ), swims in every creek, rolls in anything smelly...and always seems happy. Quite a combination.